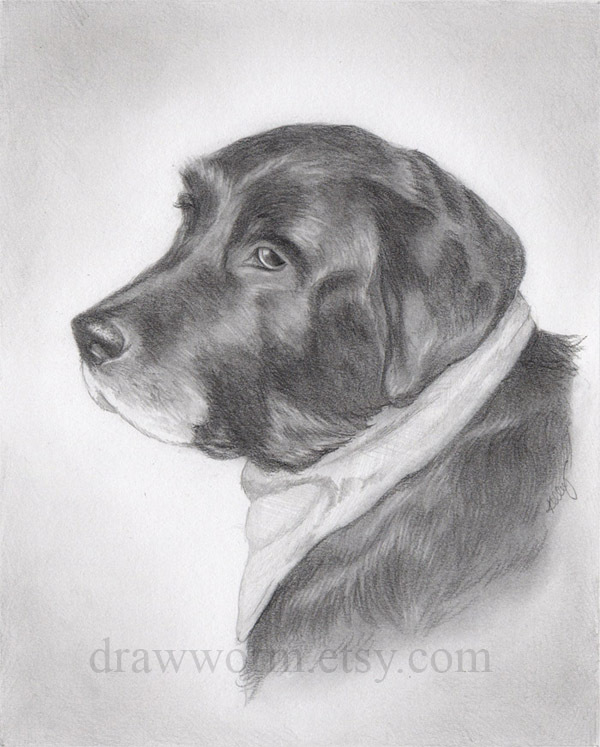 This custom pet portrait was commissioned through my Etsy shop. 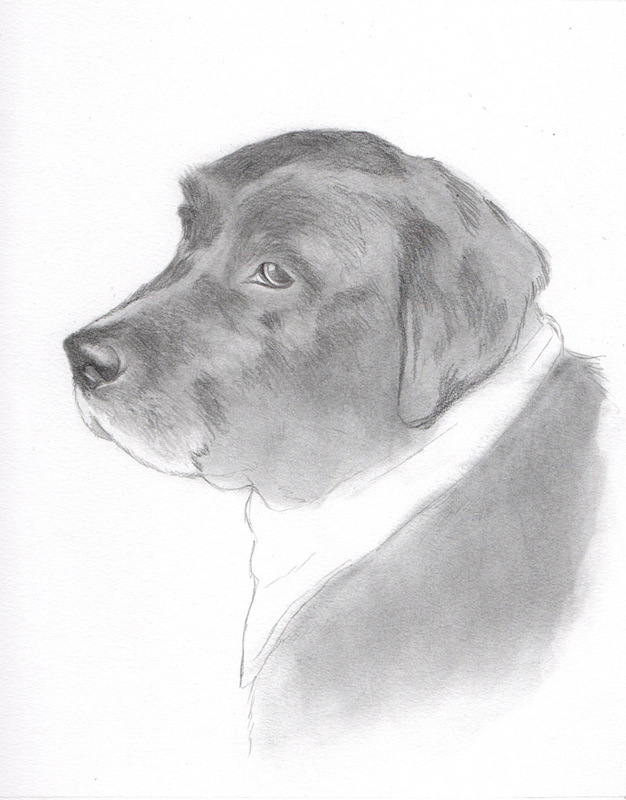 The customer wanted to commission a portrait of her boyfriend's beloved dog Buck, who recently passed away. 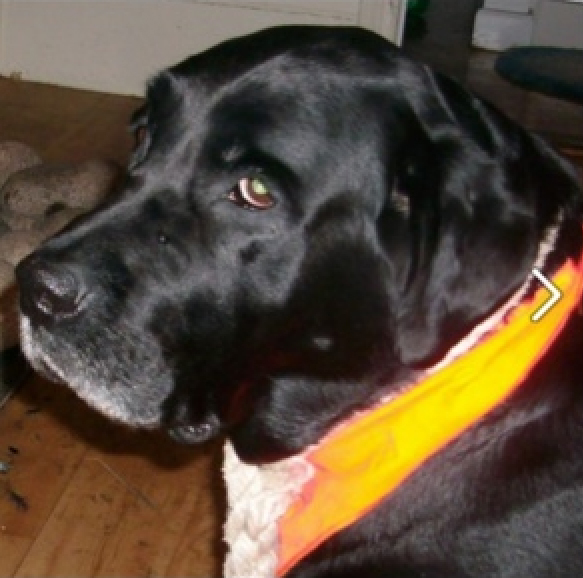 Buck was an English lab, who always wore a handkerchief around his neck. 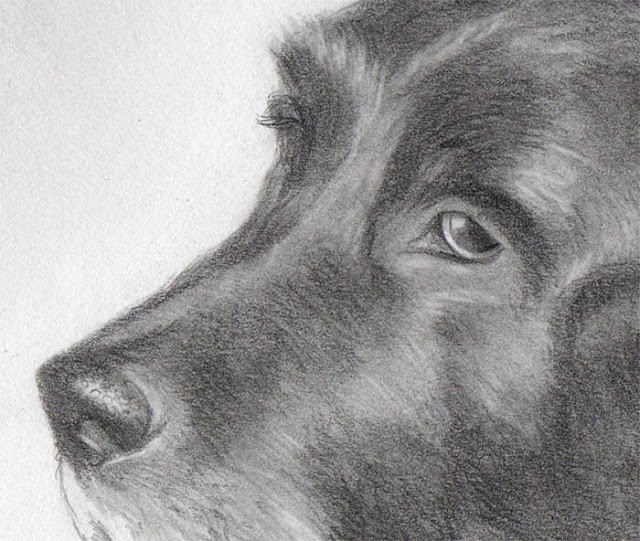 When I sat down to draw this portrait, it suddenly hit me: I have to draw a black dog in pencil. That is a lot of value to have to build up. So I broke out my graphite powder, brushing it on the paper with a soft, dry brush. This allowed me to quickly cover the area in a medium grey wash.
From there I used 6B pencils to add shadows, a kneaded eraser to pull out highlights, and a soft tissue to blend it all together. In the end I was very pleased with the range in values I was able to quickly achieve, thanks to the graphite powder. 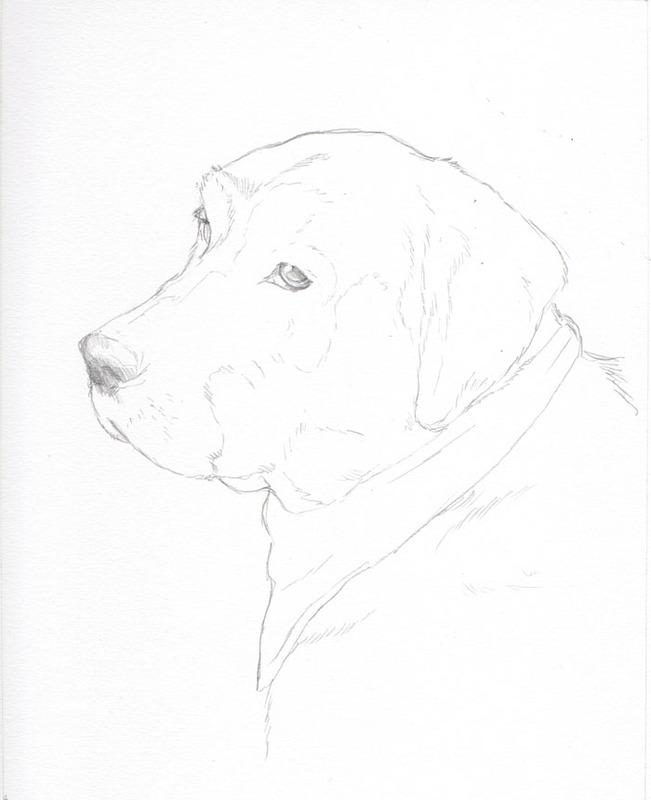 I sprayed the drawing with clear fixative to prevent smudging, and shipped it off to the happy customer. 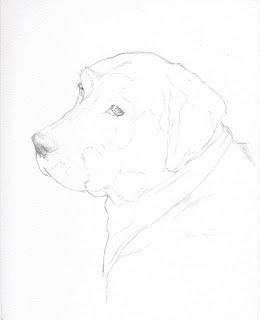 I hope the portrait brings back happy memories to Buck's owner.